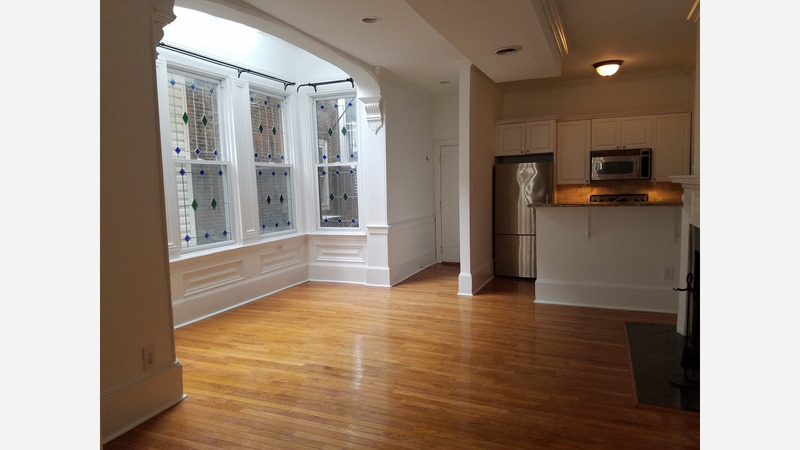 What Does $1,800 Rent You In Rittenhouse, Today? Listed at $1,800 / month, this 759-square-foot 1-bedroom, 1-bathroom apartment is located at 1500 Chestnut St. In the unit, you can expect hardwood floors, in-unit laundry and stainless steel appliances. The building has a fitness center. Pets aren't permitted. Next, there's this 1-bedroom, 1.5-bathroom apartment situated at 411 S 19th St. It's also listed for $1,800 / month for its 1,209 square feet of space. The building has storage space. In the unit, there are hardwood floors, high ceilings, in-unit laundry, a fireplace and ample natural lighting. Pets aren't permitted. Here's a 1-bedroom, 1-bathroom apartment at 1720 Lombard St. that's going for $1,750 / month. The unit has hardwood floors, a dishwasher, in-unit laundry and stainless steel appliances. Hairball alert: cats are permitted. Located at 220 S 16th St., here's a 1-bedroom, 1-bathroom apartment that's listed for $1,745/ month. In the unit, you can expect high ceilings, in-unit laundry, hardwood floors, stainless steel appliances and great natural lighting. The building boasts an elevator. Sadly, cats and dogs aren't allowed.